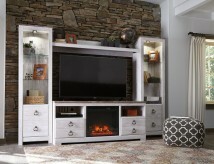 This beautiful Georgia 2pc Wall Unit will add great style and function to your transitional living room. 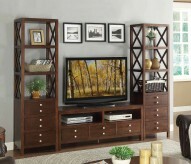 The piece has a timeless look, in a rich warm Cappuccino finish that will blend nicely with your home decor. 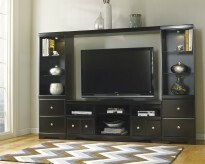 Two storage drawers in the base offer lots of space to hide clutter, perfect for movies and game equipment. 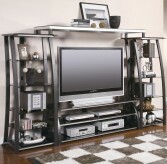 Sleek silver tone hardware accents each drawer front, for a bold contrast. 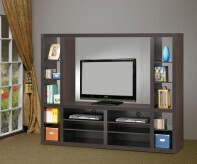 Two open compartments above are ideal for electronics components, with a CD rack on each end. 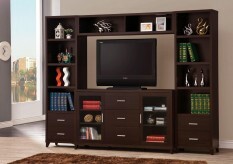 The spacious television opening is topped with three shelves, where you can place decorative items or speakers. 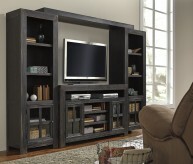 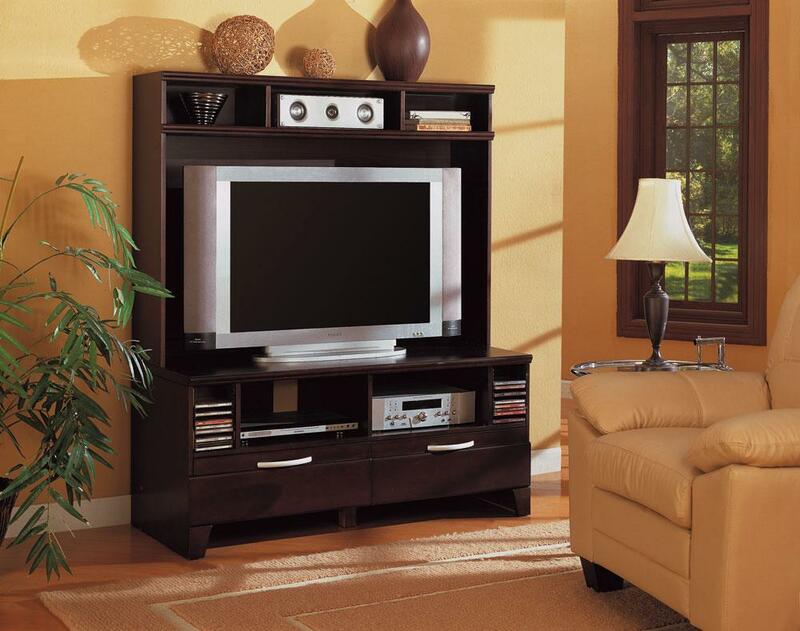 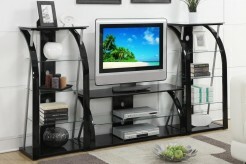 Add this gorgeous entertainment wall unit to your living room for a complete ensemble with a warm and inviting look. 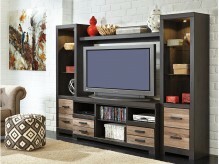 Furniture Nation is proud to offer the Georgia 2pc Wall Unit online. 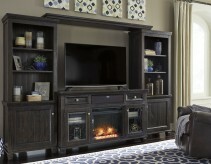 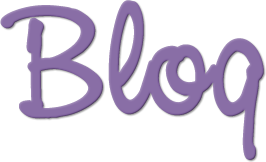 We serve customers across the DFW region including Irving, Desoto, Frisco and many more. 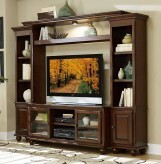 L50" x D22" x H60"